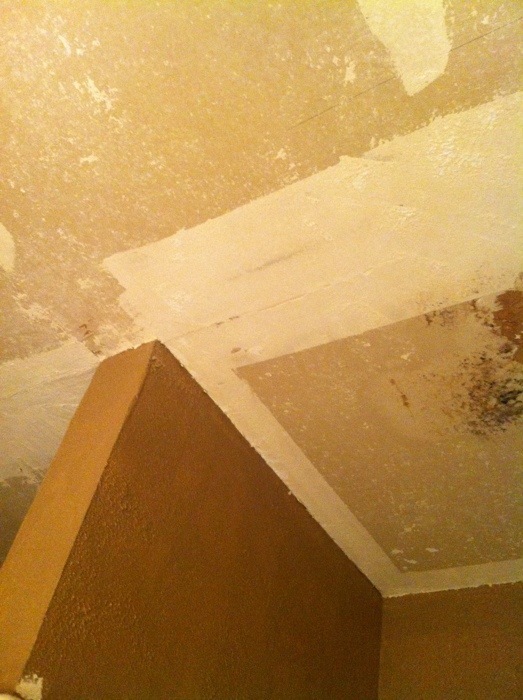 We have been so busy lately, here at home (remodeling), and at work because of spring break. So I am a little behind on my post. The walls, and cabinets got their up-do a couple years ago. 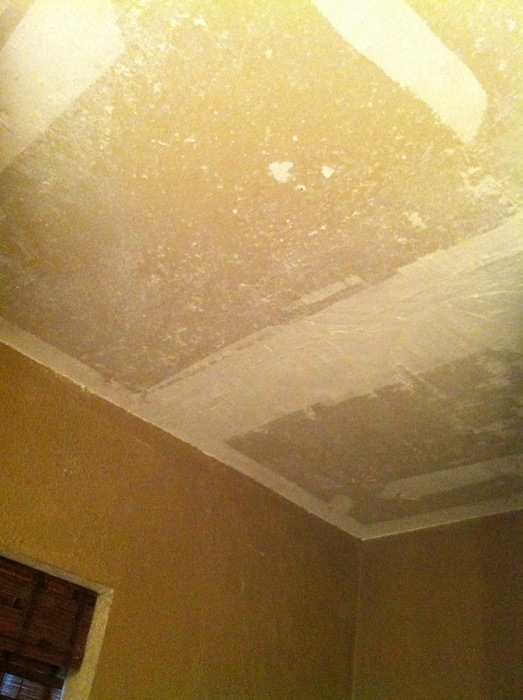 Here's the before ceiling with popcorn texture. 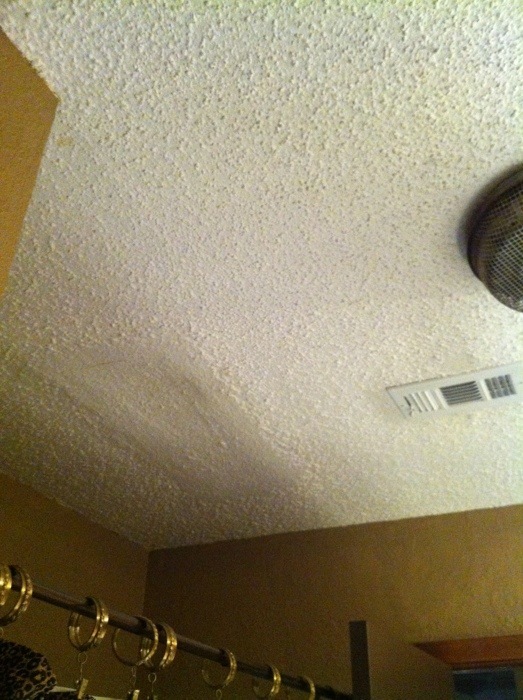 Here is the ceiling without popcorn. That took me two hours of scraping. I paid for that for a couple days. Shoulders, arms, and back were so sore!!! 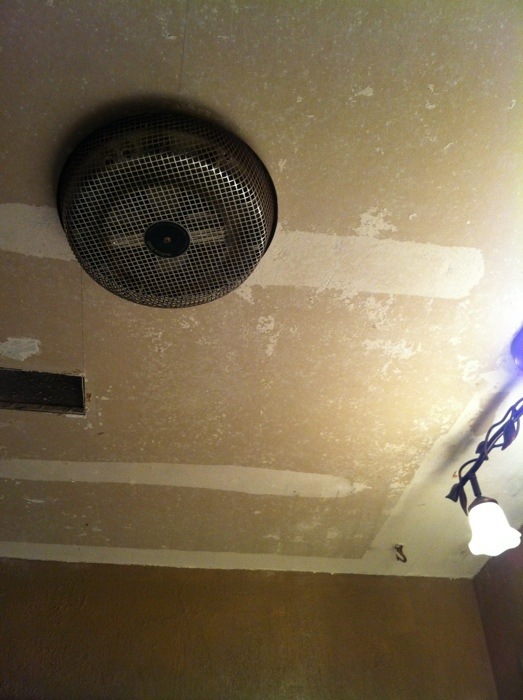 We are replacing this ugly thing with a prettier light fixture. I might put an antiquing glaze on walls too, but haven't made up my mine yet. Hubby keeps adding more things to the list. Now we are changing baseboards to matching faux crown molding. Check back later for the guest bath reveal.